We do not know the exact birth date of this famed Oglala Lakota Sioux leader, but he was likely born in late 1821 or 1822 near the forks of the Platte River in current-day central Nebraska. Red Cloud, a man of great ability as well as contradictions, led his first war party at the age of 19 and married a young woman named Pretty Owl at about the same time. A skilled warrior, he also had a natural talent for telling stories and providing motivation—abilities as significant on the battlefield as in tribal leadership. While he was relatively young, these gifts gained him influence as a bold and spirited fighter. Though his rise to leadership is hard to document, he developed a reputation for both bravery and cruelty (reportedly in part against the Pawnee) in expeditions. The young warrior was likely involved in or influenced in many ways by events that occurred in the region from 1850 through to approximately 1865: the first Fort Laramie Treaty in 1851, the Mormon Cow/Grattan Massacre in 1854, plus various hostilities with other tribes and whites and during the time of the Civil War in the East. By the middle of the 1860s, he was one of the leading Oglala warriors and recognized by his people and others as a chief of considerable power. In 1864, Prospector John Bozeman tried to establish a shortcut between the Oregon Trail at Fort Laramie and recently opened Montana gold camps, thus violating the recognized home and hunting grounds of the Sioux Nation. 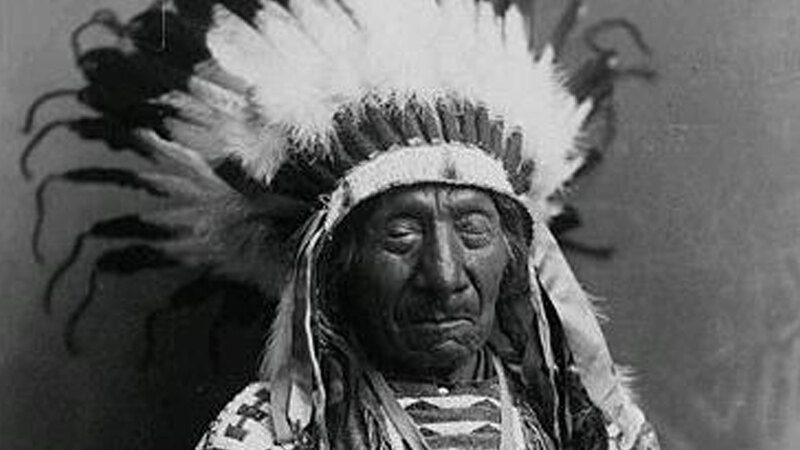 Red Cloud led his people and several allied tribes in all-out war against the U.S. military (known as “Red Cloud’s War”) to close the trail that passed through buffalo hunting grounds in the Bighorn Territory (from northeast Wyoming into Montana). Red Cloud’s principal military achievement lay in forcing the United States to abandon the Bozeman Trail between the North Platte River and the goldfields of Montana. Red Cloud and his followers were prominent in the Plains War of 1865 and afterward. He was personally responsible for the failure of the army’s 1865 North Plains operation against the Sioux, commanded by Major General Patrick E. Connor. The failure of the Connor campaign to bring about a lasting peace by force precipitated the U.S. Government’s policy of negotiation that was to follow.